Last month’s Apple event was all about the iPhones and Apple Watch. 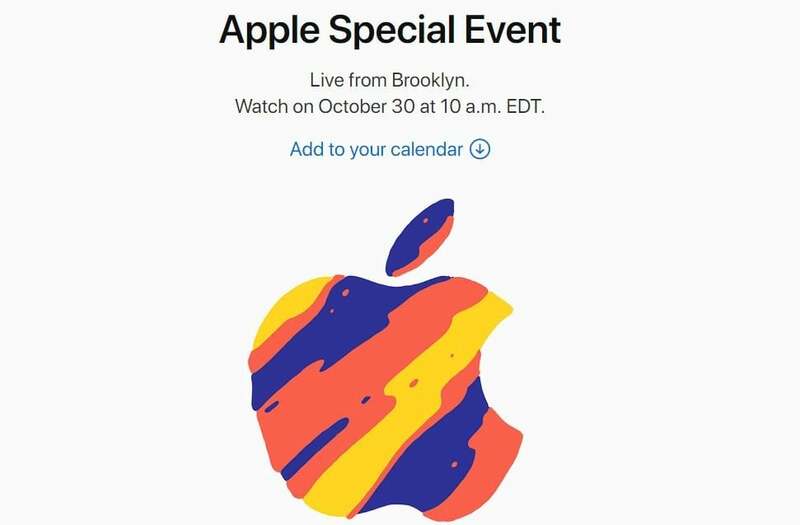 And the “There’s more in the making” event on Oct.30 is going to focus on the iPad Pro and Mac devices. Of course, there could be a few surprises as well. Apple is holding the iPad Pro and Mac event in the New York City instead of California. If you want to watch the keynote, here’s everything you need to know about the event, when it starts, and how you can live stream from the comfort of your home or office. Until a few years ago, Apple used to restrict the streaming of its events only to its own device. Now you can live stream its events on devices from other vendors as well. The best way to live stream the iPad Pro and Mac event is to head over directly to Apple’s Events page, where the video feed will appear a few minutes before the event kicks off. For the best experience, visit Apple’s Events page on Safari browser on your iOS or macOS device. If you have a Windows PC instead of a Mac, fire up the Edge browser to go to the Events page and it will work just fine. Apple says you can also use “recent” versions of Google Chrome and Firefox to live stream. Do you stay active on Twitter all day? Just go to this tweet and tap on the heart icon. Apple will send you all the updates and notify you when the live video starts. If you have a fourth-gen Apple TV or Apple TV 4K, you can download the Apple Events app from the App Store to stream the iPad Pro and Mac event. You can also watch old events through the app anytime. People who own the second- or third-generation Apple TV will have to turn on their device and they will see an Apple Events channel on the home screen to watch it. Numerous leaks and supply chain analysts have suggested that the iPad Pro will receive a radical design overhaul. The rumors were confirmed by an image of the iPad Pro in the iOS 12.1 beta code. Apple will launch the tablet in two sizes, both of which would have slim bezels and no physical home button. The Touch ID fingerprint sensor would be replaced by the Face ID technology. Apple is also said to be switching from Lightning to USB-C port. According to the rumor mill, the Apple Pencil would also get an upgrade. Apple hasn’t updated its $99 stylus in years. TF International Securities analyst Ming-Chi Kuo predicts we will see a low-cost MacBook at the event. It would start at around $1,000. It’s not yet clear whether it will be a successor to the outdated MacBook Air or the 12-inch MacBook. We expect Apple to replace or refresh the MacBook Air. The low-cost MacBook would have the Retina display, USB-C ports, and the 8th-gen Intel Core processors. Recently, four different Macs appeared in a regulatory filing on the Eurasian Economic Commission (EEC) website. We expect Apple to bring new iMac and Mac Mini at the same event. The iMac could get thinner bezels and faster processors. The Mac Mini hasn’t been updated since 2014. The new Mac Mini is rumored to feature 8th-gen Intel chips and a smaller SSD storage. Apple hasn’t talked about the AirPower wireless charging mat since announcing it last year. Ming-Chi Kuo predicts the product could finally hit the store shelves by the end of this year. So, we wouldn’t be surprised to see AirPower at the iPad Pro and Mac event. Another product that could receive an upgrade is the AirPods. Word in the rumor mill is that it could feature water-resistance and advanced noise cancelling capabilities.